Clochnahill Wind Farm consists of four wind turbines located south west of Stonehaven in Aberdeenshire. A number of gas pipelines cross the site and limit the area on which wind turbines can be erected. The wind farm owner, the Gordon Family, made a compensation claim against the pipeline operator, National Grid with the case hinging on what the land would have been worth in 2004. The claim was heard in Edinburgh at the Lands Tribunal for Scotland with Pager Power providing both written and verbal evidence. The wind farm lies south of Aberdeen Airport with the MOD air defence radar at Buchan and the NATS radar at Perwinnes providing coverage above the site. Wind turbines affect radar resulting in planning objections to wind turbines which may subsequently be built. Michael Watson’s evidence, on behalf of National Grid, described the likely wind turbine radar effects and how the associated project risk would have been viewed by a wind farm developer in 2004. In 2004 there were no wind turbines at Clochnahill. Planning permission for the current development of 4 wind turbines was awarded following a subsequent Public Inquiry which addressed an objection from NATS and Aberdeen Airport due to the predicted impact of the wind turbines on the radar at Perwinnes. The land is crossed by a number of pipelines which distribute gas throughout the United Kingdom. The basis of the landowner’s compensation claim was that the compulsory purchase order for one particular pipeline prevented the development of 2 further turbines that would have been developed otherwise. The total claim by the landowner exceeded £2.5m. The amount awarded by the Tribunal was just under £300,000. Both the MOD and NATS raised concerns about the proposed wind farm. The MOD Buchan radar is shown below. The tribunal hearing took place in early 2016, more than eleven years after the key month of June 2004 that was applicable to the case. Over this period defence policy, energy policy, planning policy and understanding of the effects of wind turbines on radar changed significantly. 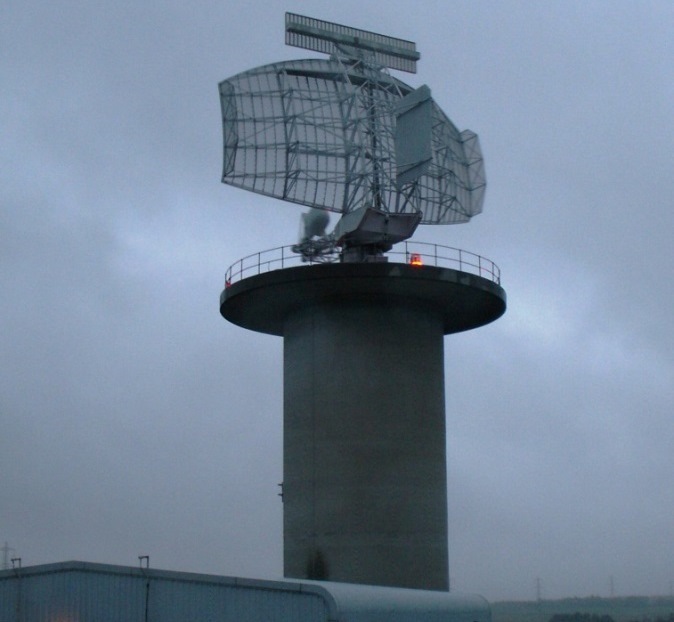 Furthermore both of the radar in question, Perwinnes (photographed right in 2006) and Buchan, were replaced with more advanced and wind turbine tolerant radar. The question for the Tribunal to consider was the price a willing buyer would have paid a willing seller in 2004 and how potential wind farm radar interference issues would have influenced this price at this time. 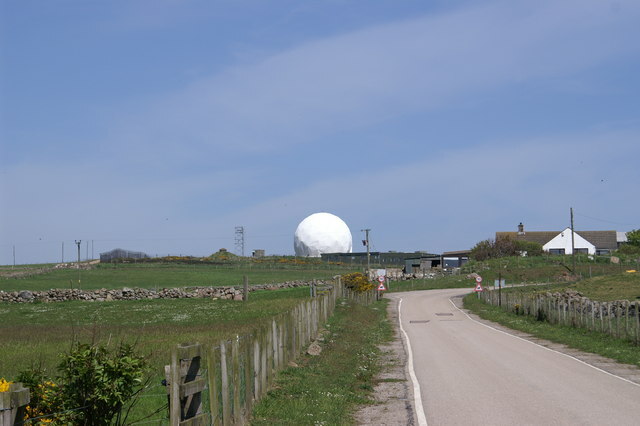 What subsequently happened, in terms of radar issues at the public inquiry and correspondence with radar operators, was not considered directly relevant. The challenge was to establish how these issues would have affected the land’s value in 2004. The process involved considering the impact of the additional 2 turbines the landowner claimed would have been built on the radar at Buchan and Perwinnes. This involved performing radar line of sight from the radar that existed in 2004 to possible wind turbine positions. The process also involved examination of the wind farm safeguarding maps for Aberdeen Airport in 2004 – these being different than those that apply today. Furthermore MOD and NATS practice and policy that applied in 2004 had to be taken into account. This was complex because both MOD and NATS policy towards wind farm development changed significantly post 2004. The image below shows a radar coverage map of the site area from the RAF Buchan radar. A technical report was produced together with a written statement of evidence for the hearing. Michael Watson also gave verbal evidence at the hearing and was cross examined in the capacity of expert witness at the Lands Tribunal. The Ministry of Defence would be likely to raise and maintain a strong objection. An objection from NATS En-Route Limited was possible. An objection from Aberdeen Airport was possible. The overall likelihood of objection would be greater for 81 metre turbines than 76 metre turbines. 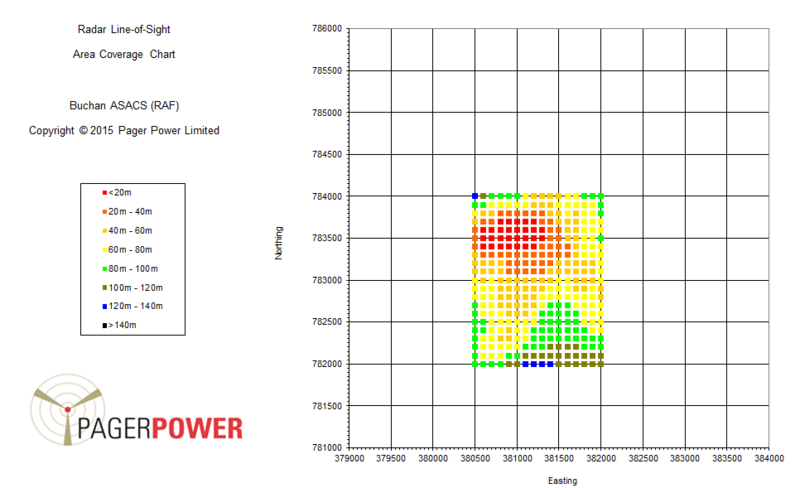 The overall likelihood of objection would be greater for 6 turbines than for 4 turbines to the south-east of the site. In June 2004 wind developers would have avoided the Clochnahill site because it lay within the 30km safeguarding radius for Aberdeen Airport. They would have focussed their efforts on other sites which did not have radar issues. The land tribunal made an award in line with the pipeline operator’s expectations which was around 10% of the amount claimed by the land owner.